Euan came round to play at our house a couple of weeks ago. We have a beautiful back garden which M&D (2) designed and built. 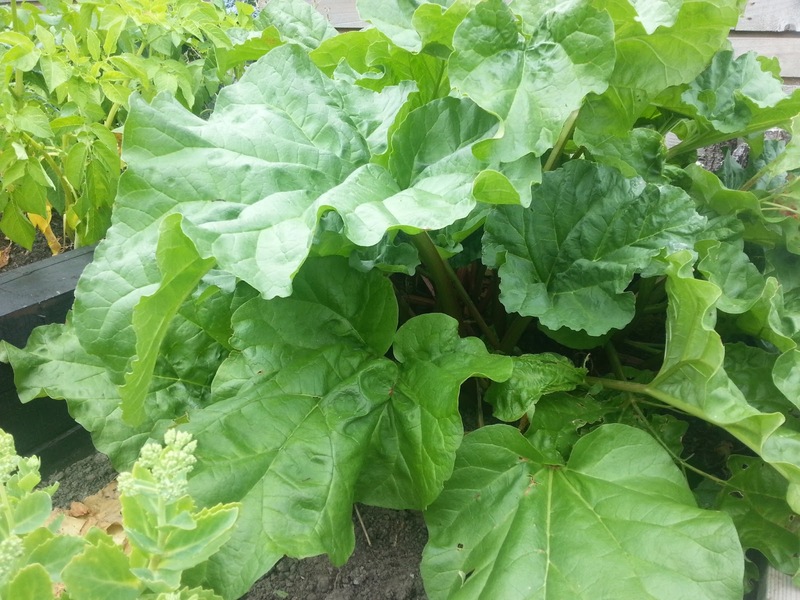 In a corner of our garden we have a big clump of rhubarb. It really loves our garden and grows so quickly that M&D can't keep up with it (a bit like me!) I therefore decided to cut a deal with Auntie Alison. 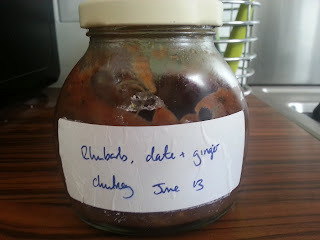 I said I would give her a big bag full of rhubarb in exchange for some lovely chutney. Auntie Alison is a very good cook so I knew I was on to a winner. I even threw in a couple of turnips as a sweetener to the deal. She totally went for it! Yay! Hope you enjoy making it as much as I love eating it! I like it best with some yummy bread and a chunk of cheese. 1. Normally I don't much like boys but Euan is pretty cool. For a boy. 3. Pah, a month?!! There's no way we could not eat this for a month! We are already half way through our first jar and I will soon be doing my Oliver Twist impersonation!